While we were driving home from my hometown one evening, we saw a pretty cool sight for the middle of the Illinois prairie. 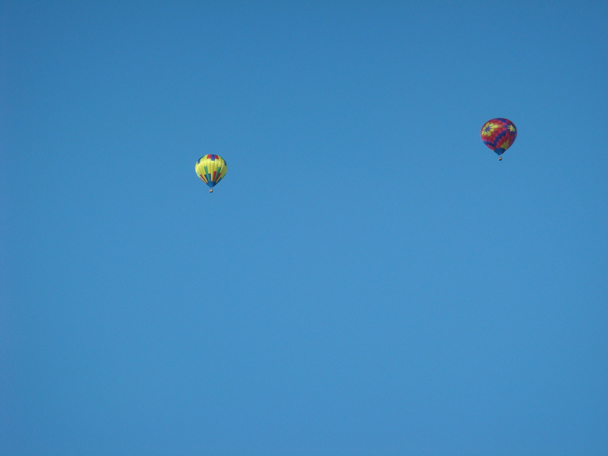 Two hot-air balloons, floating aimlessly high above us in the evening blue sky. I wonder what they were thinking as they rode along? It’s the unexpected sights like this, that make the days a little more magic-filled for me.